How Young Is Too Young for a Child Model? A casual glance at a magazine spread or a 30-minute TV viewing session confirms what any media-savvy consumer already knows: There are a lot of children working in the advertising business today. Many work as actors, others as models. Unlike adults, who are (usually) fully aware of the responsibilities and implications inherent in the modelling business, children — especially very young children — are often unable to understand what they’re getting into. This is obviously a bigger problem for very young children. And therein lies a major tension: With babies and toddlers in such high demand (who else can sell baby food, nappies and toys, after all? ), it’s clear that someone needs to fill these advertising roles. But how young is too young for a child model? The answer depends. If you’re considering a modeling job for your child, no matter his or her age, the first thing you should do is speak with an expert for insightful child modelling agency tips. 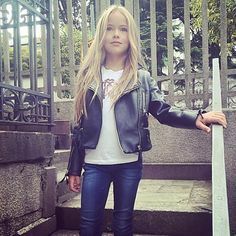 The best place to find such guidance is often a reputable talent management agency that understands the pressures faced by child models’ parents and the inevitable concerns that go along with modelling. It may turn out that the experts with whom you speak are able to allay your fears. Alternatively, they may bring up issues that you hadn’t even considered — issues that may convince you to wait until your child is older to pursue a modelling career. If your child is tough to work with due to hyperactivity or other behavioral issues, he or she isn’t likely to make a good model. This is true at any age, though behavior issues tend to be more prevalent in younger children. It’s critical to be clear-eyed about this issue in the best interest of your child. The best child-model parents — model parents, if you will — always respect the wishes of the child, no matter how badly they want him or her to be famous. If your child doesn’t want to be a model, he or she shouldn’t be. End of story. In fact, take this one step further: If your child doesn’t fully understand the implications of being a model, it’s not the right choice. And if you’re being honest, that may disqualify very young children. Probably the biggest misconception about child modelling is that it makes parents rich. True, some child models enjoy steady work and financial success. But this tends to be fleeting. If you’re trying to get your child into modelling as early as possible in pursuit of fame and fortune, reassess your motives. Would modelling Steal Your Child’s Childhood? Children don’t drop out of the womb and immediately crawl to a camera set, of course. In fact, children rarely appear on camera before the six-month mark. But if you’re worried that, say, your two-year-old would be better served playing outdoors and making friends than posing for a photographer, trust your gut. This entry was posted in Parenting and tagged child, Model.